Jehuda Reinharz, former president of Brandeis University, has remained among the highest paid people on campus. When Brandeis University president Jehuda Reinharz stepped down three years ago, he moved back into his old faculty office. But unlike most history professors, Reinharz does not teach any classes, supervise graduate students, or attend departmental meetings. He did not bother posing for the department photo. The chairwoman for Near Eastern and Judaic Studies said she did not even know whether he was officially a member of her department. Yet Reinharz remains one of the highest paid people on campus. He received more than $600,000 in salary and benefits in 2011, second only to the new Brandeis president, according to the school’s most recent public tax returns. And that’s on top of the $800,000 Reinharz earned in his new job as president of the Mandel Foundation, a longtime Brandeis benefactor. Examples of arrangements colleges in Massachusetts and elsewhere made with their retiring leaders. Lawrence S. Bacow, president emeritus of Tufts, received $1.7 million in 2011 for “end of service compensation.” At Harvard, president Lawrence Summers kept his presidential salary of $580,000 for several years after he stepped down in 2006 (even as he earned millions working for a hedge fund). And Wellesley College had two former presidents on its payroll in the last six years, including one who received $430,000 a year for two years after she retired and her duties ended. Reinharz, formerly one of the best paid college presidents in the country, has received at least $1.2 million more from Brandeis since his 2010 retirement and is in line to receive hundreds of thousands more in coming years. 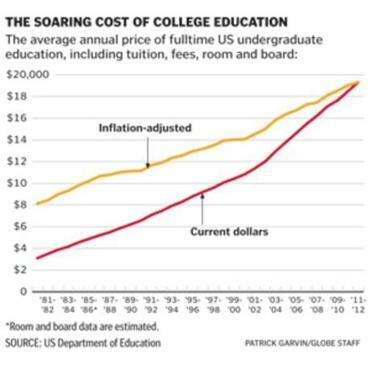 Rising administrative expenses are one reason that the average cost of higher education has soared 70 percent during the past decade — twice the rate of inflation — and elite schools such as Brandeis now charge nearly $60,000 a year or more for tuition, room, and board. The number of college administrative jobs has increased 57 percent during 10 years while pay for university presidents has ballooned, with dozens of college leaders receiving at least $1 million a year. Some Brandeis officials defend the deal with Reinharz, saying it was crucial to retain his expertise to help with the transition to a new president who had not previously worked at Brandeis. They also wanted his help to maintain relations with major donors. “He knows how to raise money,” said Jack Connors, who was vice chairman of the board when it signed an agreement to keep paying Reinharz after he stepped down. Reinharz argued that he deserved the post-presidential pay as a reward for his past achievements as president, saying that he raised more money for the school during his 16-year-tenure than all previous presidents combined, and that he upgraded the campus infrastructure and improved the university’s academic standing. ■ Highly paid sabbaticals and new jobs. Some schools are now giving outgoing leaders year-long leaves at their administrative pay, and then keeping them on as professors or advisers at elevated salaries. 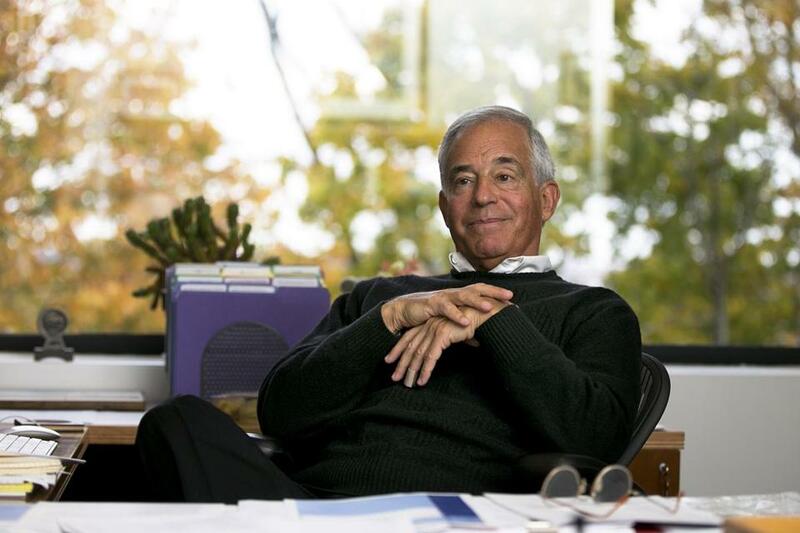 Former University of Massachusetts president Jack Wilson kept his presidential salary of $425,000 during a yearlong sabbatical after stepping down to become a professor at University of Massachusetts Lowell, where he now earns $269,180. ■ Hefty severance and other lump sum payments. Suffolk University president David J. Sargent, who left in 2010, received $854,085 in 2011, mostly for severance. And former Amherst College president Anthony W. Marx received $1.4 million after he retired in 2011, mostly for deferred compensation he accrued during his eight-year presidency and a sabbatical he never took. ■ Generous retirement pay. Some former leaders receive significant pensions, free housing, or other retirement perks. Northeastern University president emeritus Richard M. Freeland, who resigned in 2006, receives an annual pension of $209,690, in addition to the $30,000 he earns some years to teach a history class. Such exit packages have long been a staple at major corporations. But former Boston University chief John Silber helped pioneer the practice of handsomely compensating former presidents in higher education. Silber persuaded the school to place him in the long vacant job of chancellor when he retired as president in 1996, where he continued to earn more than most college presidents. Even after giving up the chancellorship in 2003, he received $6.1 million in 2005, mostly for deferred compensation promised years earlier. He continued to reside in a 10-bedroom university home until his death last year. While Silber’s post-presidential deal was considered exceptional, some say such pay packages are becoming routine. However, Brandeis officials say the career of Reinharz, 69, is anything but usual. Born in Israel, Reinharz immigrated to the United States as a teenager, earning his doctorate in modern Jewish history at Brandeis in 1972, joining the faculty in 1982, and starting his run as the school’s second longest-serving president in 1994. Reinharz ran into controversy near the end of his tenure after an aborted plan to close the campus art museum and sell the collection in 2009. But both Reinharz and former trustees say he was not pushed out. The new positions paid well, too. Between his new deal with Brandeis and the Cleveland-based Mandel Foundation, which supports Jewish education and other causes, tax filings show that Reinharz made at least $1.4 million in 2011, more than he made in his final year as president. The foundation, which pays for half of Reinharz’s office expenses, did not make it easy for the public to discover Reinharz’s pay, listing him as an unpaid board member on forms filed with the IRS, while staff said his compensation was confidential. But reports filed by three related Mandel family foundations suggest he earned a total of $800,000 in consulting fees in 2011, more than double what chief executives of similar-sized grantmaking organizations normally earn. An attorney who advises nonprofits, Barbara K. Wheaton of Portland, Maine, said the Mandel foundations’ IRS reports appear to be inaccurate or misleading in claiming they did not pay employees or contractors more than $50,000 despite the hefty fees to Reinharz. Separately, Brandeis signed what it called an “unprecedented” deal in 2009 to keep Reinharz on the university payroll after he stepped down — as president emeritus, the Richard Koret Professor of Modern Jewish History, and director of the Tauber Institute for the Study of European Jewry, which sponsors symposiums and publishes research. As part of the pact, the university agreed to pay Reinharz $500,000 in salary in 2011, $287,500 a year through June 2014 and then $180,000 a year as a “half time professor.” The university also let him remain in the Brandeis president’s spacious home in Newton for six months after he stepped down. And Reinharz could have earned even more if Brandeis had not clarified the agreement in 2012 to limit him to half time as president emeritus after 2011. Otherwise, Reinharz could have reported working full time in the position and collected $575,000 a year. But it is unclear exactly how much work Reinharz does to earn all that money. Reinharz has the title of president of the Mandel Foundation, which has given $50 million to Brandeis during the past two decades through its affiliates, leaving its name on landmarks all over campus. Barbara Mandel, the wife of foundation chairman Morton Mandel, is an officer on Brandeis’ board of trustees. A Mandel staffer said Reinharz works for the foundation full-time, but Reinharz said he is actually a consultant without a set schedule. However, Reinharz confirmed that he spent the entire first year of Lawrence’s presidency on sabbatical, when presumably his advice would have been needed the most. Reinharz said he helps raise money for Brandeis and introduces the new president to donors, but he declined to name any of the donors or estimate how much money he’s brought in. “The money that is raised is Fred’s,” referring to Lawrence. Finally, Reinharz said he regularly talks to faculty and students, but does not attend department meetings because he is too busy and does not want to overshadow other professors. His third Brandeis role, as director of the Tauber Institute, is also strictly advisory, says its executive director. The one area where Reinharz was specific about how he spends his time was his own research, including a book he is co-writing on the history of the donkey in literature, arguing that the animal is often used as a substitute for people. While some college presidents negotiate their exit packages as part of their original contracts, Reinharz worked out his deal with Brandeis trustees when he decided to step down. The board got advice from Raymond Cotton , an attorney who often represents college presidents and provided Brandeis with a list of seven past presidents who remained on the payroll, including Silber at BU and Summers at Harvard. But some professors asked why Reinharz is paid so much for what even the university acknowledges is part-time work. And Brandeis is sensitive to the criticism. When the Globe started asking about Reinharz’s post-presidential pay, the university hired an outside public relations firm, Rasky Baerlein Strategic Communications — the same firm it hired four years ago to handle the museum controversy. But not every college president steps down with a new job or lavish severance package. When Edward A. Parrish retired as president of Worcester Polytechnic Institute in 2004, he asked for moving expenses and access to resources such as updated software.